Payments are processed early each month for the previous month (so your April income will be paid to you in May). Your income will be paid into your bank account each month, less your membership fee (Instant Keys only), fuel charges, and personal tolls (Instant Keys only). You'll get an invoice each month detailing the income and charges on your Car Next Door account. We'll pay any amounts we owe you straight into your bank account. less your monthly fee, any fuel charges and your own tolls for the month. Your invoice for the previous month will generally be sent out between the 3rd-10th of each month. You will receive an email notification when your invoice is available to view. If you are in credit, we will pay money into your nominated bank account within 5 business days after your invoice is issued. If you are in debit, we'll charge your credit card at that time. You can view your running balance, and download PDF monthly invoices, at any time by logging in and going to the account page. A trip just finished - why can't I see it on my account? Occasionally, our staff will manually check the billing for a trip. If you are looking for the details of a recently completed trip and don't see it on your account, check back in a week's time. If a booking is in progress over the end of the month, you'll get all of the income for that trip in the following month. 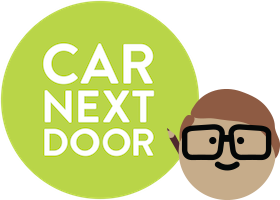 What is Car Next Door's commision?